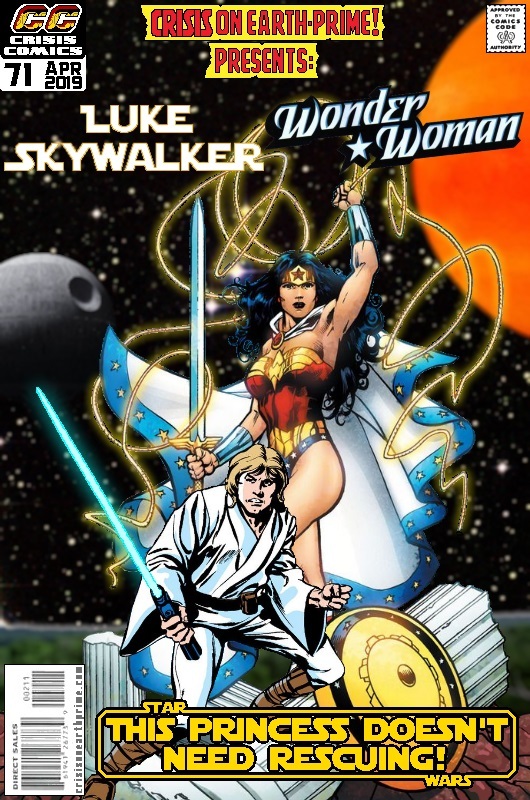 Posted on Wednesday, April 17, 2019 Monday, April 1, 2019 by GaryPosted in Mash-UpTagged Luke Skywalker, Wonder Woman. That will be a damn good fight, that’s for sure. Since WW’s technically on a half step under the power level of Superman, she definitely has a distinct advantage here. Buuut, don’t ever underestimate Vader’s Force abilities. Now sure, he’s not living up to his full potential, by using a good portion of his Force abilities to block/channel the pain he’s constantly in, as well as powering his suit, he’s still has a good enough amount to put up a long fight. Depends on whether or not he has back up doesn’t it? I’ll go with WW, who’d eventually outlast him as far as durability goes, provided Vader doesn’t simply have a way to teleport himself away while the blowing up whatever planet they’re fighting on up.